The central portion of your tooth —referred to as its pulp — contains a collection of nerves, blood vessels, and connective tissues. When the pulp of a tooth becomes diseased or damaged, it can cause uncomfortable symptoms, widespread infection, or even tooth loss. Unlike many other dentists, Dr. Bruno Lemay has the training, skill, and experience to provide patients with advanced endodontic procedures. Depending on your needs, we can use root canal therapy, root amputation, or another treatment to address the source of an infection and restore your oral health. To learn more about the endodontic treatments offered at our Palm Springs, CA-area practice, schedule a personal consultation today. One of the most common endodontic treatments, root canal therapy is used in cases where oral bacteria penetrates into the pulp of a tooth. During root canal therapy, we will numb your tooth and then create a tiny hole in your enamel. Next, we will remove diseased tissue from inside of your tooth before cleaning the area and filling it in with a synthetic material. Depending on the extent of the damage to your tooth, we may recommend placing a dental crown to protect the remaining structure. 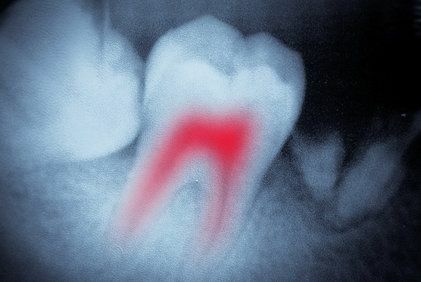 If you underwent an unsuccessful root canal procedure at another practice, we can also perform root canal re-treatment to effectively address your tooth infection. The root of a healthy tooth is surrounded by a strong layer of enamel, which allows patients to eat, speak, and chew comfortably. When a tooth is cracked, its root and surrounding nerves can become exposed, causing sensitivity and pain. In addition, the opening can allow harmful bacteria to penetrate to your pulp. Fortunately, we offer endodontic treatments to repair a cracked tooth. We can often adequately restore a cracked tooth with a dental filling, while more advanced procedures may be necessary in cases where the structure of a tooth becomes compromised. If you have suffered dental trauma that is particularly severe, oral surgery or tooth extraction may be the best course of action to help preserve your oral and overall health. Some larger teeth contain multiple roots. In certain cases, one of the roots may need to be removed in order to prevent future oral health complications and the need for extraction. A root amputation procedure involves the full removal of an infected tooth root while leaving the structure of the tooth intact. After undergoing root amputation, we typically recommend the placement of a dental filling or crown to stabilize the tooth and restore its function and appearance. After performing a thorough diagnosis at Desert Dental Alternatives, your doctor will discuss all of the available treatment options so that you can make a clear, confident decision. No matter which treatment you select, you will receive high-quality care that is custom-tailored to your unique needs and goals. To learn more about the advanced endodontic treatments we offer, reach out to Desert Dental Alternatives today.